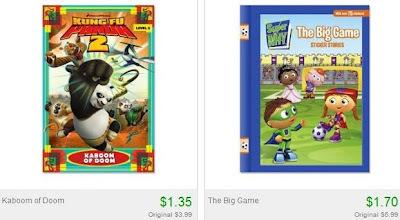 Kid's Books from $1.35 + 10% Off or Free Shipping! Nothing Over $5! Totsy is having another awesome children's book sale, with books starting at just $1.35! The stories feature popular characters and stories such as Clifford, Martha Speaks, Winnie the Pooh and many more. Most books cost in the $2 range and nothing is over $5.